I am going to heat up your summer by sharing an awesome new steamy romance with you today! 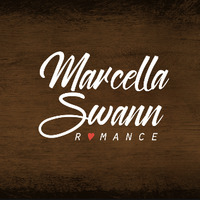 Introducing the newly released My Dream Job by Marcella Swann. Marcella is an acclaimed Author with a background in journalism, who absolutely has a way with words that leave you hot and bothered! No worry, if that is not your thing – I still suggest that you enter in the giveaway at the end of this blog post, for your chance to win a 25 Dollar Amazon gift card – perfect for your Prime Day Shopping Spree and beyond! Oh, and did I mention that this book is free on Kindle Unlimited? Well, there you go – you can thank me later!